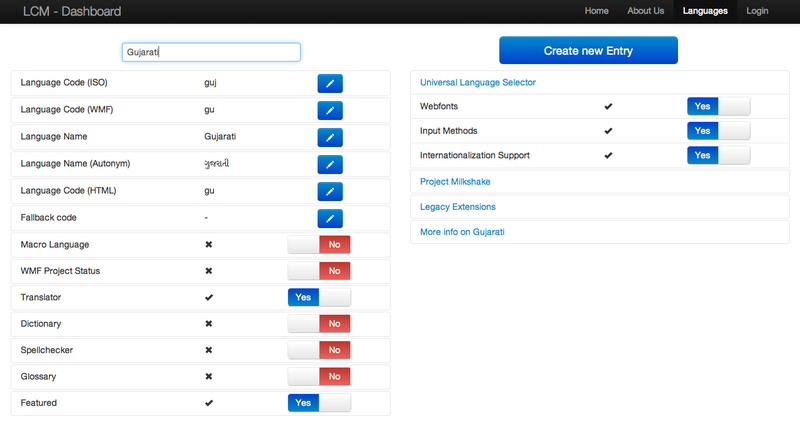 I have been spending the last few days re-designing the User Interface of Language Coverage Matrix Dashboard. Although the last one was working smoothly, there was a need of more polished and efficient one than the previous. I met up with my mentors and the designer of our Language Engineering team a number of times to decide on the new UI. So, let’s walk through the newly added User Interface of LCMD! Now to begin with, I would like to mention what exactly demanded a new UI here. The issue with the previous one was as simple as: It demanded to show more details and also, the informations needed to be grouped. 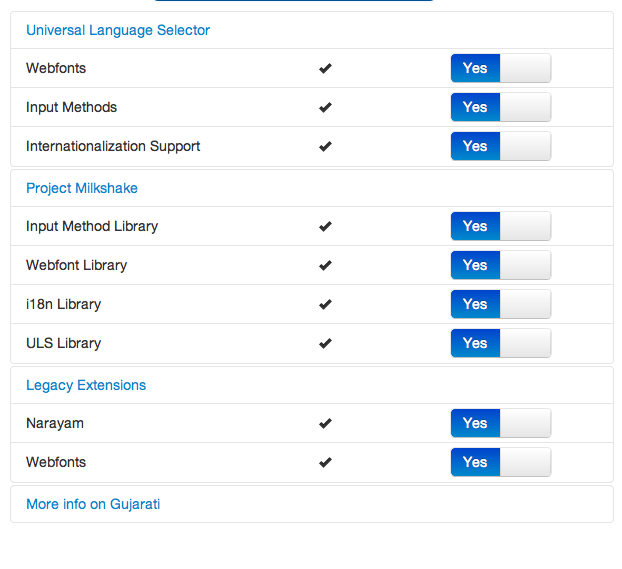 Data grouped in Universal Language Selector, Project Milkshake, Legacy Extension and More Info of that language. 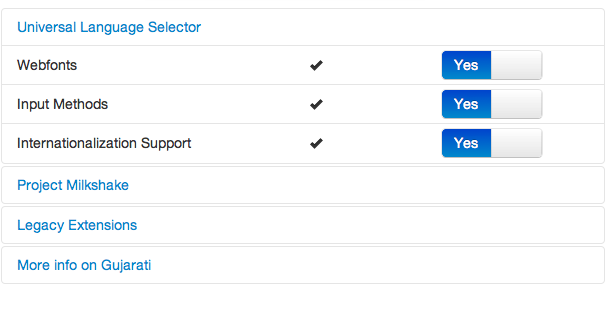 This grouped data is shown in responsive and smooth drop down. New switch button is introduced for more efficient editing by the admin. New modal design created to update the information of languages. Icon cross and tick are added for showing language support.